Ms. Marie Forte is currently the Unified Arts Coordinator and Band and Chorus Director at Bellingham High School where she has taught since 2003. She conducts the BHS Concert, Marching and Jazz Bands, BHS Chorus, as well as teaches the following courses: Digital Music Production I & II, Eighth Grade Chorus and American Popular Music. Ms. Forte completed her Master of Music Degree in Music Education with a concentration in wind conducting from Rhode Island College and completed her Bachelor of Music Education at the University of New Hampshire. She has studied conducting with Andrew Boysen, Jr. and Robert Franzblau and flute with Peggy Vagts, Faith Williard, and MaryEllen Guzzio. 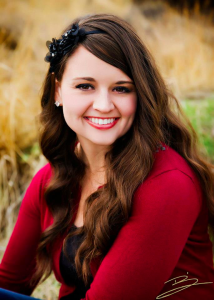 She is a conductor and staff member with American Music Abroad, and completed a three week performance tour to five countries in Europe with a high school honors band, orchestra and choir in 2017, 2015 and 2013. She is a recipient of the Blackstone Valley Superintendents’ Collaborative Promising Practices Award, the Bridgewater State University Innovative Curriculum Grant, and several grants from the Bellingham Cultural Council. In 2012, the BHS Concert Band was invited to participate in the University of New Hampshire Wind Band Invitational Festival with composers Andrew Boysen, Jr. and Mark Camphouse. 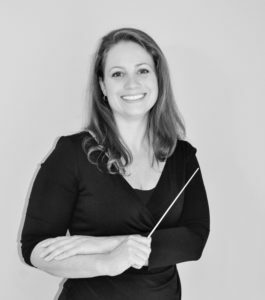 She serves on the Executive Board of the Massachusetts Instrumental and Choral Conductors Association (MICCA) as Concert Festival Co-Chair and Host for the Band & Orchestra Festival. She is a member of the Massachusetts Music Educators Association and National Association for Music Education. Mrs. Bonnie Blakely, originally from Eagle, Idaho, is currently the 8th Grade Band Director at Bellingham High School. She also teaches 8th grade music classes and high school music electives including Digital Music Production I & II, and Guitar for Beginners. Previously, Mrs. Blakely spent three years at Stall Brook and Clara Macy elementary schools in Bellingham, teaching general music grades K-4 and 4th Grade chorus. In 2014, Mrs. Blakely became the Pep Band Director for Bryant University, Smithfield, Rhode Island. She received her bachelor’s degree in Music Education and Flute Performance from the University of Massachusetts Amherst, studying with flutist Chris Krueger. During her last two years at UMass, Mrs. Blakely was a drum major for the UMass Minuteman Marching Band and worked closely with George N. Parks and Thom Hannum. In 2013, Mrs. Blakely was the drum major for the Bushwackers Drum and Bugle Corps, Princeton, New Jersey. She is also a staff member for the George N. Parks Drum Major Academy. Mrs. Blakely is currently enrolled in a masters degree program at the American Band College at Sam Houston State University. 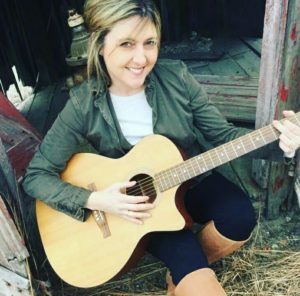 In addition to her musical career and activities, Mrs. Blakely serves as a state public affairs officer in the Massachusetts Air National Guard. Miss Signa is the general music teacher and chorus conductor for grades 4 through 7 at Bellingham Memorial School. She graduated from Rhode Island College with a Bachelors Degree in Music Education. She studied trumpet with Joe Foley and voice with Susan Rodgers. She was a member of the Rhode Island College Wind Ensemble, Orchestra, Brass Ensemble, Trumpet Ensemble, and Rhode Island College Chorus. As a member of the Rhode Island College Chorus, Miss Signa toured Germany and Prague under the direction of Dr. Teresa Coffman. Miss Signa plays with the American Band as a member of the trumpet section. She is a member of the National Association for Music Education. Mr. Timothy MacDonald is the Band Director for grades 5 through 7 at Bellingham Memorial School. Mr. MacDonald also conducts the BMS Jazz Band and BHS Jazz Band. He graduated from the University of New Hampshire with a Bachelors Degree in Music Education. 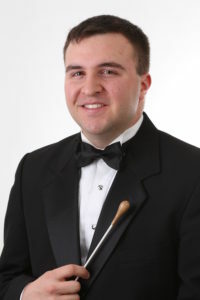 He received his Masters degree from the American Band College through Sam Houston State University in Ashland, Oregon. He has studied trumpet with Dr. Robert Stibler and conducting with Dr. Andrew Boysen, Jr. He is a member of the National Association for Music Education. Heather Deary is the elementary music teacher at DiPietro Elementary School teaching grades K-3 general music. She is a 2001 graduate from UMASS Lowell in Music Education with voice as her primary instrument. After 3 years of teaching, Mrs. Deary took 10 years off to start a family and stay home with her 3 children. During this time she opened up her own studio teaching voice and piano lessons. In 2013 she returned back to the public schools teaching part time in both Charlton and Hopedale before starting in Bellingham the fall of 2015. Mrs. Deary is a certified Music Together Instructor and received her Masters Degree in Music Education in the Spring of 2017 from UMASS Lowell. She is also a performing musician, Heather Deary Acoustic, singing and playing guitar in the Milford/Worcester area. 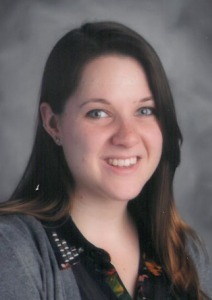 Ms. Kaitlyn Braman currently teaches general music at Stall Brook Elementary as well as 4th grade chorus and 5th grade band at Bellingham Memorial School. She received her Bachelors Degree in Music Education from Rhode Island College. While at Rhode Island College she studied flute with Dr. Mary Ellen Guzzio, voice with Susan Rodgers and conducting with Dr. Edward Markward. She was also the manager for the Rhode Island College Orchestra for two years. Ms. Braman is the principal flute player for the Rhode Island Wind Ensemble. She is also currently pursuing a Masters degree in Music Education with a concentration in conducting at Rhode Island College.